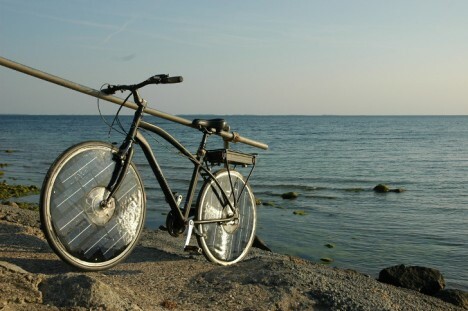 Spoke space is free, just like solar energy, reasoned this Solar Bike inventor, an engineer who decided to see if he could build a bike powered by the sun – this is his second iteration, and it works like a charm. 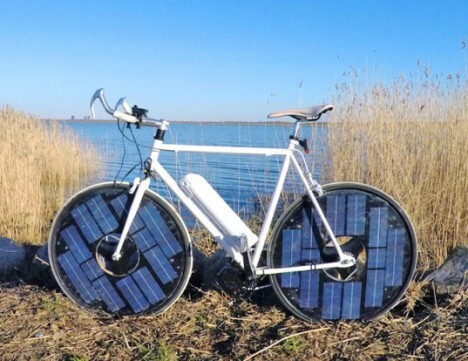 An engineer in Copenhagen, Jesper Frausig developed this working prototype that stores energy in an onboard battery and can then carry a rider up to 40 miles at up to 35 miles per hour, perhaps more with further optimizations. 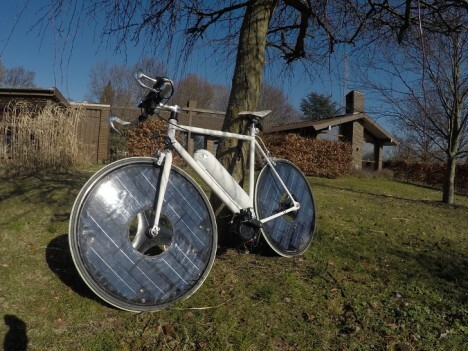 Human effort can assist the process as needed, helping save up energy for tougher parts of the trip, but the rider can also sit back and enjoy letting the sun do the work as desired. Lights are also tied into the solar energy system. 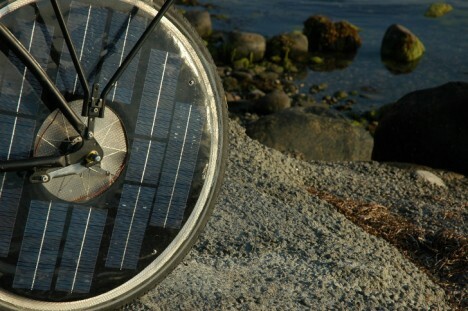 See more in Bikes & Cycles or under Transportation. May, 2015.